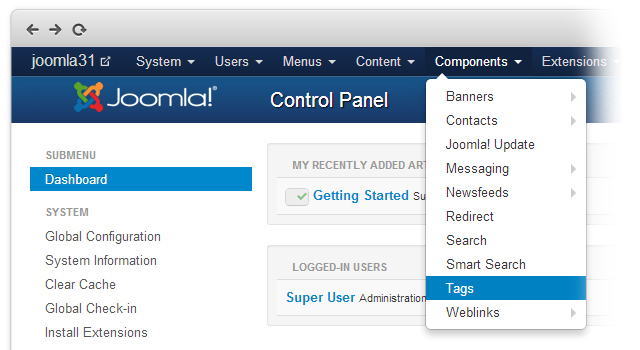 Tags are easily found under the Components menu in your Joomla 3.1 back-end. 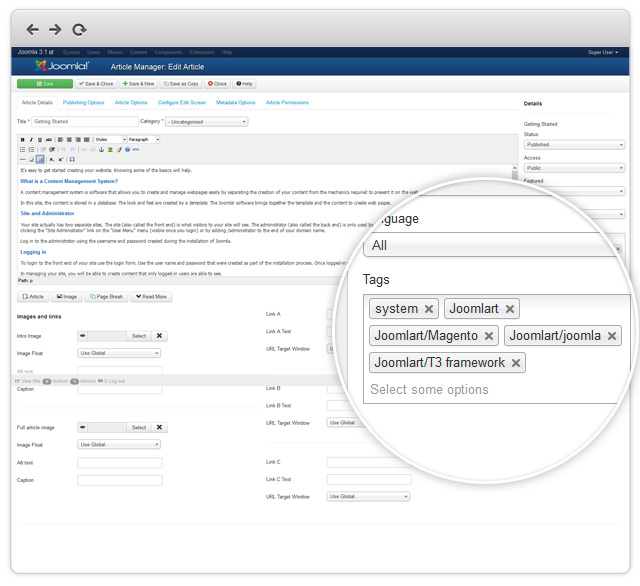 The Tag Manager allows you to quickly create, edit, and place tags throughout your site. You're in full control of your tagging job. 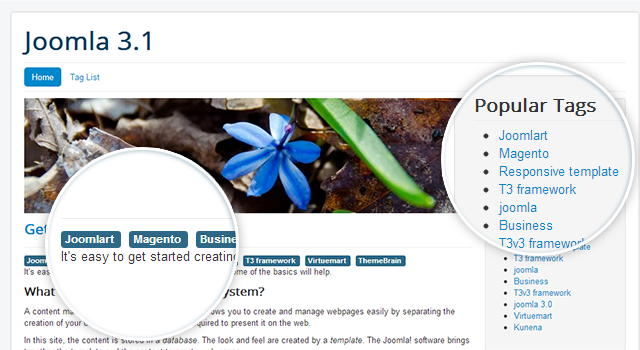 You can be able to select all the tags you have created while creating/editing your article. 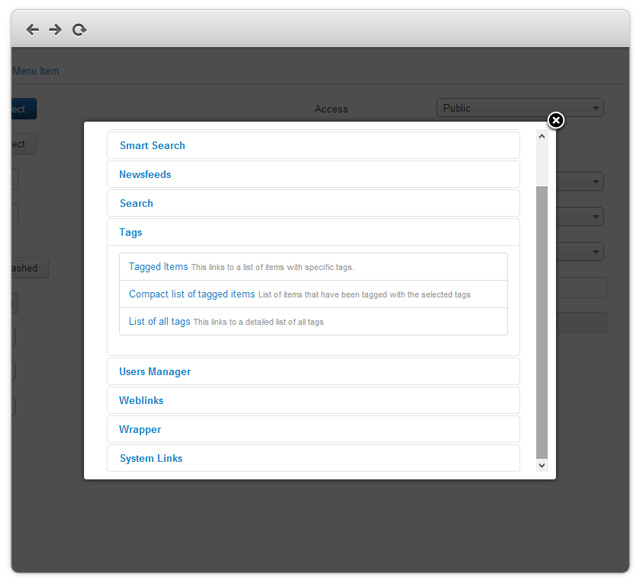 All your existing tags can be quickly accessed from the menu. 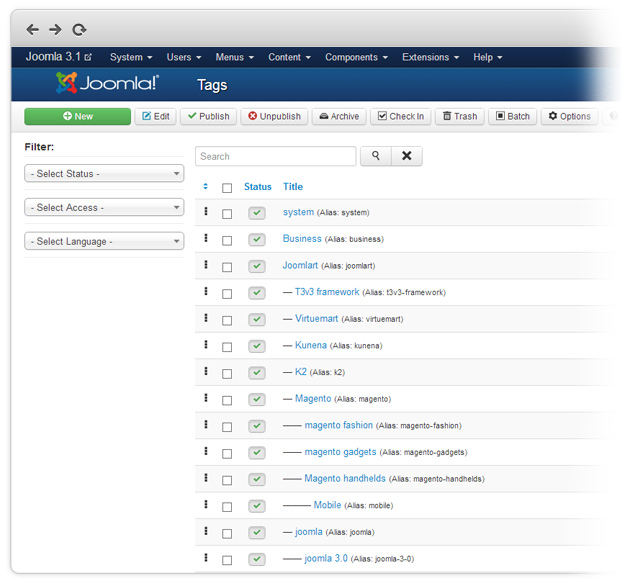 Tags are compatible with the awesome T3V3 Framework which is open source. These changes will offer developers more options in order to improve the users experience. 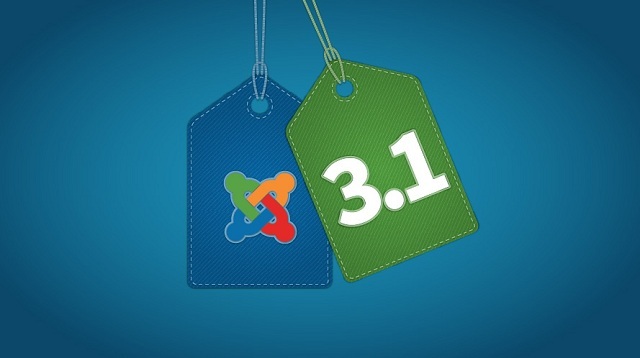 This is only one of many new features coming to Joomla 3.1 and we are very excited to see the improvements that this update brings to the amazing Joomla platform.